As of WordPress 4.3, all WordPress sites include a site icon feature that makes it easy to upload and crop an image to use as a favicon. For most users, this is the simplest method for adding a favicon icon to WordPress. All you’ll need is an image that’s at least 512×512 pixels. WordPress will handle the rest of the process. The normal WordPress media library interface will open. 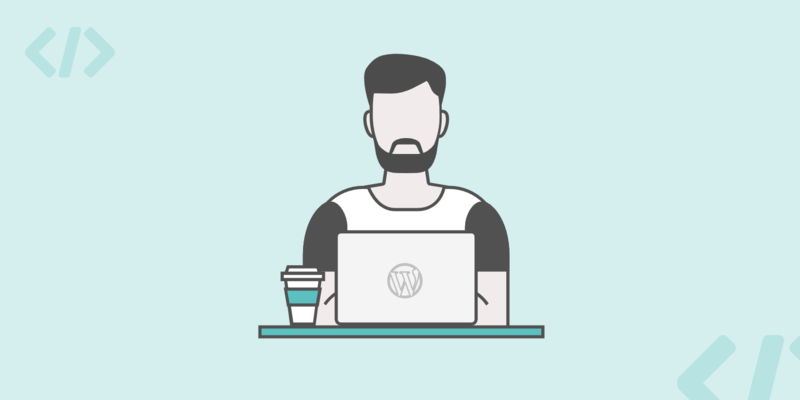 You can either choose an existing image in your WordPress Media Library or upload a new one. Remember – WordPress recommends using an image that is at least 512x512px. If your image isn’t already a perfect square (e.g. 512×512 px), WordPress will give you a chance to crop your image on the next screen. Use the box to highlight the portion of the image that you want to use for your icon. You can see a preview of how your cropped image will look on the right side of the interface. And that’s it! All you need to do is click Save & Publish to make your favicon live. If you’d prefer a plugin solution to the native WordPress site icon functionality, you can use a popular free plugin called Favicon by RealFaviconGenerator. The plugin is just as simple to use as the native WordPress Customizer but offers additional helpful compatibility options for various devices and app icons. Once you activate the plugin, go to Appearance → Favicon to create your favicon set. Once you select your image, click Generate favicon. After clicking that button, the plugin will take you outside your WordPress site to the RealFaviconGenerator website. If you’d prefer to do things manually, it’s also possible to manually add a favicon to your WordPress site via FTP and some minor code snippets. If you go with this method, you’ll also need to create your own favicon image because you won’t have WordPress’ help anymore. In the past, you had to use a specific ICO file for your favicon. But nowadays, all modern browsers support the use of ICO, PNG, and GIF files for your favicon. JPEG is widely supported, but not in all Internet Explorer versions, which makes it less ideal for use as a favicon. If you’re familiar with Photoshop, you can use Photoshop to manually create a favicon. With that being said, it’s often easier to just use a basic cloud-based tool to create your favicon icon set from an existing image. On the next screen, you can configure specific details about your favicon set (if desired). The files should be in the same folder as your wp-admin and wp-content folders. Using the Insert Headers and Footers plugin is optimal because it ensures you won’t lose your favicon if you switch WordPress themes down the road. Make sure to Save your changes and you’re all done. If you want each site in your Multisite network to have a unique favicon, the easiest way is to use a favicon plugin like the plugin featured above. You can also use the Heroic Favicon Generator plugin, as long as you make a small manual tweak to its code. While it’s possible to edit your theme’s files to allow unique favicons for each network sites, the process is significantly more complicated than using a plugin. Because all three methods outlined above store your favicon images on your server, you can optimize your site further by using a content delivery network (CDN) to serve your images. By installing Cloudflare or a service like KeyCDN, you’ll be able to have your visitors load your favicon from your CDN instead of your server. If you are using a plugin like CDN Enabler, it should automatically rewrite your WordPress favicon URL to work with the above methods.